A lot of people enjoy watching movies, so do I. Movie tickets are not a feasible option when you are on a budget. However, there are a few places around Melbourne you could watch a movie for free. An innovative way to watch a movie is by watching it silently using headphones and free of cost. 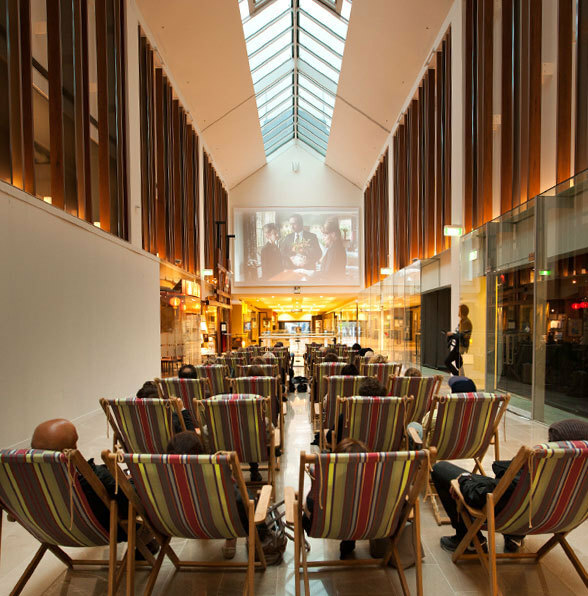 I find it an innovative way as you watch the movie at Southgate one of the malls along the Yarra River. Southgate cinemas, provides an outdoor movie experience while being in the mall. They have screenings of a range of movies every Tuesdays and Wednesdays. They do not permit BYO food and drinks; however, they can be purchased from within Southgate. It is an experience to try out like the many different ones in Melbourne and can work as a good date option. The movies begin around dusk and one can enjoy dining at the places in Southgate. The best part of the experience is the option to book the tickets either online or pick them at the ticket desk at no extra cost. I look forward to my silent movie experience. On a parting note, do not forget to carry your jackets and a friend for company. Where: Southgate is located along the banks of the Yarra River, directly opposite Flinders Street Station, adjacent to Melbourne's Hamer Hall and the Arts Centre.